I have been not too surprised that Australians are crazy for the Paleo diet lifestyle. Pete Evans, chef and leader of the Australian revolution, has come under fire more than I can admit, and yet it still isn't stopping people from realizing that no sugar and no grains is healthy. Australian researchers tested the low-carbohydrate, high-fat Paleo diet on mice for just eight weeks, and what they found was that it led to 15 per cent weight gains and doubled fat mass, and they say increased risk of insulin resistance. I would say that that was perhaps more about the types of fats, and even the types of carbs rather than the overall idea, and the lack of digestive abilities. I would say that Pete Evans is sort of the Chris Kresser of the Aussie crowd, and just trying to get people to ditch the insulin resistance and leaky gut for a better quality of life. As I have said in the past, though, is that it comes down to a nutritional truth. Your nutritional truth may not be what my nutritional truth it. My husband struggled with low blood sugar depending on what he was eating and a lot of it comes down to some of his leaky gut issues and lack of digestive support. You can't just put a blanket statement on your ancestral diet without actually looking into your ancestry. Keep that in mind. So what about insulin resistance. 1 in every 200 Australians suffer with some form of insulin resistance. What I am talking about is this sort of glucose intolerance that is in part a digestive disorder where your body finds it difficult to digest sugar from food items like carbohydrates and some meats. However with leaky gut, genetics and hormonal issues you can add in an inability to break down saturated fats and many other foods. I would really wonder if in the study they used polyunsaturated, monounsaturated or saturated fats as the main sources of fats and what was their source of low carbohydrate. In my research I have found that when insulin resistance is not controlled it can eventually send someone into that pre-diabetes state or worse, however not necessarily always so. Interestingly Texas Tech University nutrition scientists did some research with genetically altered mice of their own and found that a diet high in a certain type of fat may actually increase metabolism. So which one is it? 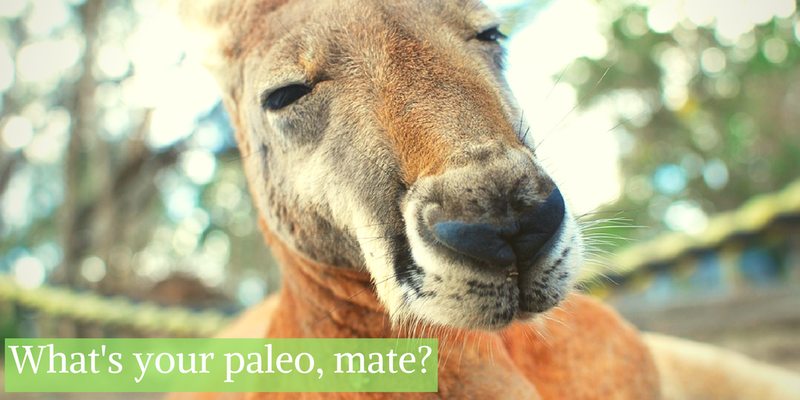 Should you be Paleo Keto, should you be Paleo Vegeo or is there another alternative out there that is right for you? Perhaps we should again look at your family, and how you feel. Do you digest your foods? Are you absorbing your nutrients? What's your ancestry? I am part of a family of Scandinavians. My husband's family came from Denmark three generations ago and mine came from Sweden three generations ago. What most people don't realize is that digestive enzyme deficiency is something that is prevalent in those of Scandinavian or Viking decent which can include a pancreatic enzyme insufficiency, the big lactase deficiency or a sucrase-isomaltase deficiency. So when my husband eats raw veggies, he is in pain. When his family eats a lot of dairy, pain. When they eat a lot of eggs, pain. Sometimes that goes along with fruit, grains, and fats for many of us as well. So here is the deal, if you don't have the digestive enzymes, you aren't going to digest the food. That is a truth. No matter your nutritional type, you need to digest it. With insufficient enzymes you are not breaking down or protected from a lot of bacteria, parasites and fungi that leaves your gut open to some pretty not happy things. So supplementing with digestive enzymes so that you can eat those foods richest in the natural enzymes and supplementing with whole foods that are already simple to absorb is going to be a huge support for so many of us. When I put my daughter and my sister in law on the Klaire Labs - Vital-Zymes Chewable the results were amazing. My research also showed that not only does insulin resistance cause impairment in the metabolism of sugars but is also associated with abnormal metabolism of fats and proteins. Why? Perhaps it is the lack of producing some of those key digestives enzymes like lipase, protease and amylase. Maybe that is why when my husband has tried veganism, tried ketogenic, tried paleo or anything that goes away from his simple protein shake, pork, spinach and rice ... he just feel bad. Maybe it's not the Paleo diet that is wrong, but perhaps it's the lack of supplemental support that people need to be able to live the lifestyle properly. When we get rid of the excess sugars and fast absorbed carbohydrates, and we get back those healthy fats there is something great that can happen. Maybe that is all that those happy Australians are looking for. Wellness!! So if you want to dive in to the paleo lifestyle make sure you get enough whole foods supplementation, digestive enzymes (if you don't like the Kaire Labs I also recommend trying the Garden of Life Organic Chewable Enzyme that was formulated by Dr. Perlmutter), and of course lean into mostly plants. Get some probiotics as well. Food should feed us, including that microbiome, so that we're not just healthy but even growing a better next generation. Try a Paleo Vegeo thirty day journey and see how you feel. Eliminate the items that could be causing you problems and let your gut have a chance to heal. Start with my free five day program to kick out the sugar head, and then head back for my January launch for our Healthy Living Revolution!